You’ve tried everything, from medications to exercise, and you’re still plagued with musculoskeletal pain. The doctors at Regional Pain Care Center have an answer that goes straight to the source of the problem -- a spinal cord stimulator that blocks pain messaging. For patients in Allen, Texas, the spinal cord stimulator allows them freedom from chronic pain that’s been unresponsive to other treatments. To learn more, call or book an appointment online. While spinal cord stimulation might sound like a very new and advanced treatment, in reality, it’s been around for years, having first gained FDA approval in 1989. The theory behind spinal cord stimulation is to go to the source of the messaging between your nerves and your brain — your spinal cord. The doctors place small transmitters under your skin, near your spine, that emits mild electrical pulses that prevent messages of pain from being sent to your brain. What can the spinal cord stimulator treat? Where does the spinal cord stimulator go? The stimulator is a device that has two parts. The first are leads, or electrodes, that the doctor places into your spine in an area that will have the best result for your pain. The doctor can adjust their position until you get the most benefit. The tiny “generator” that powers the pulses is placed elsewhere in your body where it will be least noticeable, such as in your buttocks, abdomen, or chest. The doctor places it very close to the surface of your skin, so the procedure is minimally invasive. What are the advantages of the spinal cord stimulator? As opioid addiction makes more headlines, doctors are shying away from long-term pain relievers, for good reason — opioid addiction can strike anyone, at any age. Invasive surgical solutions for back and neck pain run the risk of infection, not to mention the considerable downtime associated with an invasive surgical procedure. The doctors at Regional Pain Care Center first do a trial run with a spinal cord stimulator before they implant one in your body. This allows you to gauge the effectiveness of the treatment before committing to implantation. And even after the doctor implants the stimulator, it’s very easy to remove and cease the treatment. The doctors can increase or decrease the power of the electrical pulses at any time. 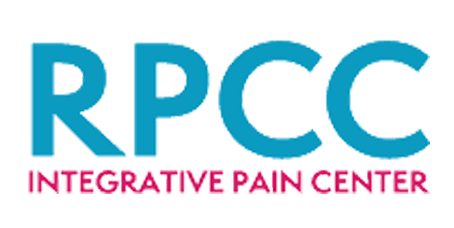 If you’d like to explore what a spinal cord stimulator can do for your chronic pain, call Regional Pain Care Center, or book an appointment online.